Affordable, small town living only 35 miles from Denver. Plenty of shopping opportunities 20 miles away. 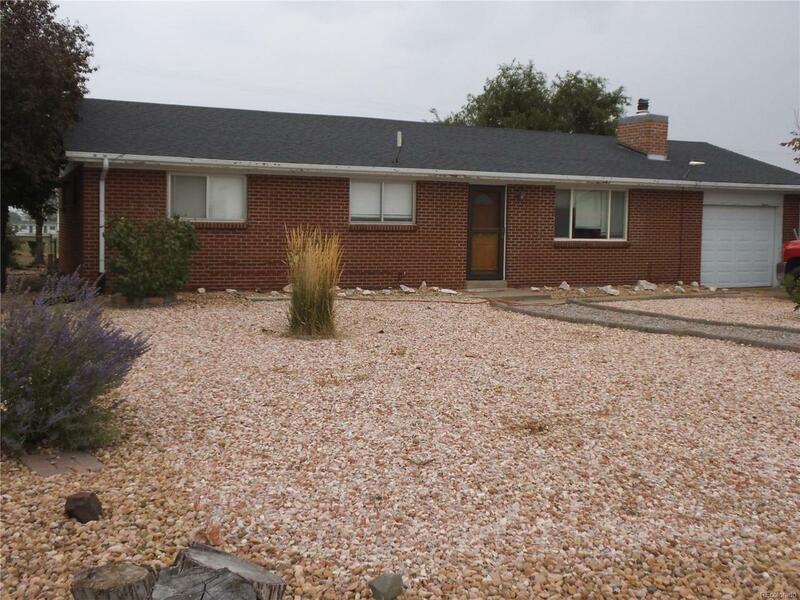 Lovely ranch home with full, partially finished basement with a bath, family room and two bedrooms (non-conforming/window size). Open concept living/kitchen/dining area with a wood fireplace perfect for gatherings of friends and family over the holidays. Kitchen updated with custom butcher block counters, black appliances and a rustic touch. New air conditioner (June 2018). Very private with no neighbors in back or front of this home. Large yard and amazing mountain views. New carpet just installed in basement. Offered by Executive Estate Services.